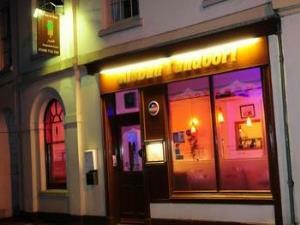 The Misbah01600 714940work Restaurant - IndianThe Misbah is a family-run Restaurant offering authentic Bangladeshi cuisine, and is located in a Grade II listed building in the heart of Monmouth, within the Picturesque Wye Valley. We use only the finest quality ingredients and all dishes are freshly cooked to order. Over the years we have introduced new innovative dishes with distinctive flavours which are unique to ‘Misbah’. Try out our special Welsh Curry, made using Welsh Lamb, Leeks, Caulilower & Cheese. Only available via advanced bookings in February & March 2012.